Below you will find several different obscure generic mini figures i've come across. I don't know who they are, who made them, or where they came from. But I do know that they are cool enough to be included in Gartwo's collection! 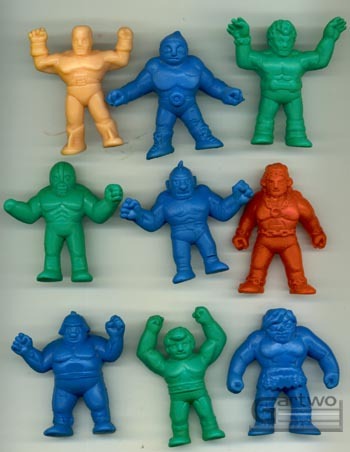 These dudes sort of look like the famous MUSCLE figures, but they are made from a very soft, flexible rubber material. They are also a little bit bigger than the MUSCLES. Thanks to Tim Moffitt for hooking me up with these! 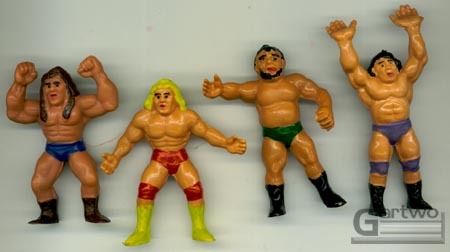 These guys are made from hard plastic and are also a little larger than the MUSCLE figures. I've seen some unpainted versions of these figures on another website, which you can check out here.